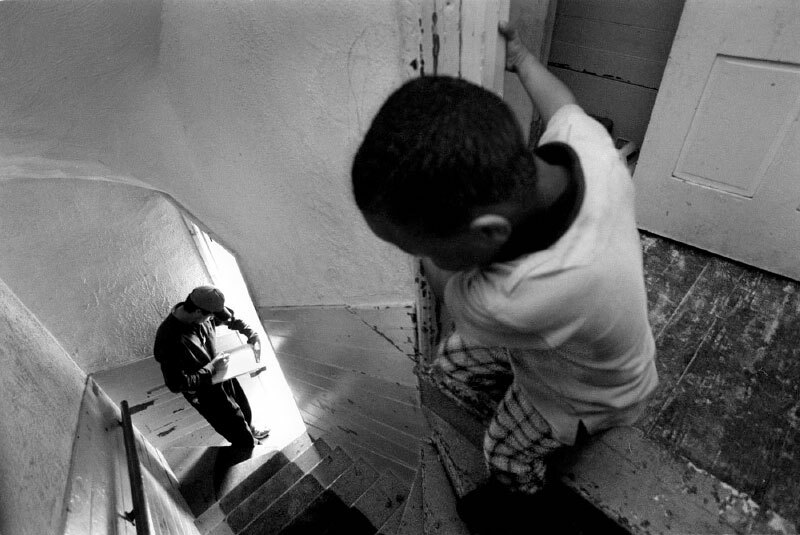 A curious young boy, who is found to be lead poisoned, watches as a Health Department official inspects his home for lead. In a much-debated system, an inspection is not initiated until a child is poisoned. Once the hazard is identified, the landlords are ordered to abate the problem.